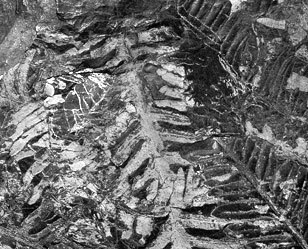 The majority of fossils recovered in Cape Breton can be traced to coal areas or coal fields. Fossils have been found ranging from whole or partial tree trunks and branches to shrubs and vine growth. Evolution dates back to pre-historic times – to approximately 325 million years ago when the region was covered in lush, dense vegetation. Coal beds consist of altered plant remains. When forested swamps died, they sank below the water and began the process of coal formation. However, more than a heavy growth of vegetation is needed for the formation of coal. The debris must be buried, compressed and protected from erosion. Even though all the biological, geographic and climatic factors may be favourable, coal could not be formed unless the plant debris was submerged and buried by sediments. There are four stages in coal formation: peat, lignite, bituminous and anthracite. The stage depends upon the conditions to which the plant remains are subjected after they were buried – the greater the pressure and heat, the higher the rank of coal. Higher-ranking coal is denser and contains less moisture and gases and has a higher heat value than lower-ranking coal. Peat is the first stage in the formation of coal. Normally, vegetable matter is oxidized to water and carbon dioxide. However, if plant material accumulates underwater, oxygen is not present and so only partial decomposition occurs. This incomplete destruction leads to the accumulation of an organic substance called peat. 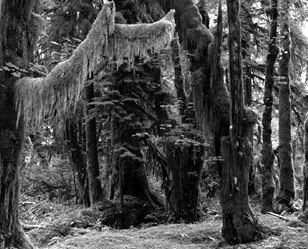 Peat is a fibrous, soft, spongy substance in which plant remains are easily recognizable. It contains a large amount of water and must be dried before use. Therefore, it is seldom used as a source of heat. Peat burns with a long flame and considerable smoke. Lignite, the second stage, is formed when peat is subjected to increased vertical pressure from accumulating sediments. Lignite is dark brown in colour and, like peat, contains traces of plants. It is found in many places but is used only when more efficient fuel is not available. It crumbles easily and should not be shipped or handled before use. Bituminous Coal is the third stage. Added pressure has made it compact and virtually all traces of plant life have disappeared. Also known as “soft coal”, bituminous coal is the type found in Cape Breton and is our most abundant fuel. It is greatly used in industry as a source of heat energy. 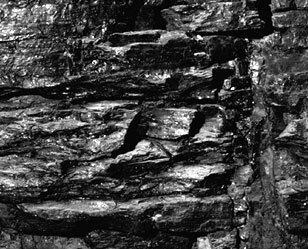 Anthracite, the fourth stage in coal formation, is also known as “hard coal” because it is hard and has a high lustre. It appears to have been formed as a result of combined pressure and high temperature. Anthracite burns with a short flame and little smoke.